Versatile, recycled, 20 lb. office paper contains post-consumer fiber along with FSC certification. Environmentally responsible sheet runs efficiently through all types of office equipment and features jam-free, trouble-free performance. Acid-free, archival quality extends the life of the document. High brightness offers good image contrast and easy readability. 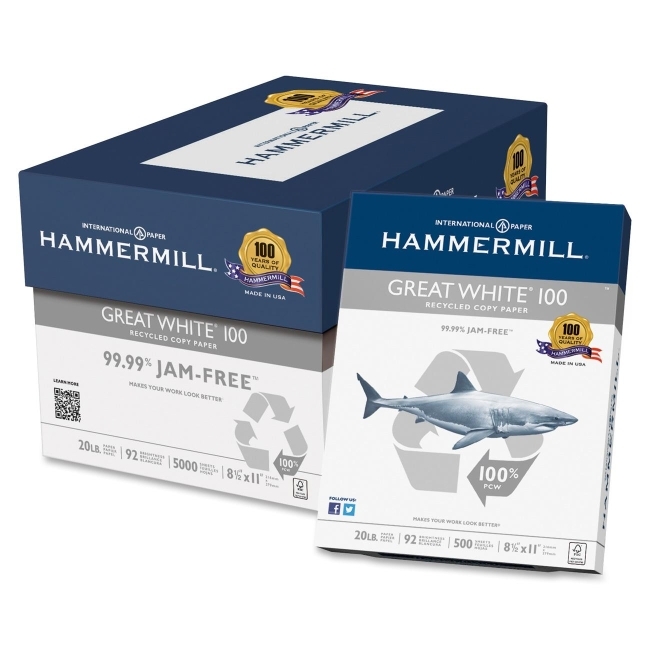 Great White 100 Paper is compatible with copiers, printers, fax machines and offset presses. Precise accurate sheeting, consistent moisture content and curl control ensure smooth, trouble-free performance.